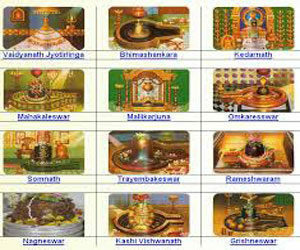 Shiva purana mentions the 12 manifestations of shiva in the form of jyothirlingas. Amongst these, bhimashankara, Tryambaka, Vaidyanatha and Ghruneswara are in the state of Maharashtra. Lord shiva is the creator of lives on the earth hence he cannot incarnate as any of his own creation. He emanates devotion in his bhaktas and he is famously known as Bolenath – one who is innocent and grants the wishes of his devotees, one who is compassionate and kind. After the samudra manthan, the churning of the ocean; he held the poison in his throat that came out of the ocean to protect his own creation.he is known as Neelakanta. The poison produces heat in his energy and he dances it out in Chidambaram where he represents fire element. Every drop of water or milk that we offer to him as oblation cools his energy and he showers his blessings on the earth. He is not the destroyer; Thryambaka mantram indicates he eases the stress of death as any life that is born in the human cycle has to shed the body someday. The lord takes away the attachment and illusion from the mind of his devotees at the time of their death. Modern question that people often ask is ‘God is everywhere and he has to protect every creation of his without being asked?’ For example – Mother is impartial to all her children but surely the child who listens to her and attached to her gets preference; not because that child is special but he is able to channel his feelings towards the mother. Prayer connects man to the creator and in turn he gives him the energy to face his own destiny. There are no miracles in this yuga(era); man is unable to channel his energy towards positivity. Lord shiva is all pervading; one may see the almighty in any form or call him by different names, his energy emanates positivity, happiness and love. The question that hounds man again is ‘why does not he protect every species and allow them to remain happy all the time’. Animals are always happy, they have no axe to grind or memory to hound their minds; it is man who creates these illusions in this mind as he is aware of his existence. Almighty allows man to live in the illusion and makes him learn the truth of life on his own as he is endowed with intellect and he is capable of using it for self protection. Man unfortunately asks for material gains and not for the knowledge of the universe and even if he does he retains it only in the form of information. If he understands his existence and the world around him; veil of ignorance gets dropped on its own and he is happiness himself. Shiva purana is one of the 18 puranas, written by Veda vyas. It consists of 24000 shlokas in 7 samhitas. It describes the story of Shiva.